Reading and share top 1 Mary Alice Kruesi famous quotes and sayings. 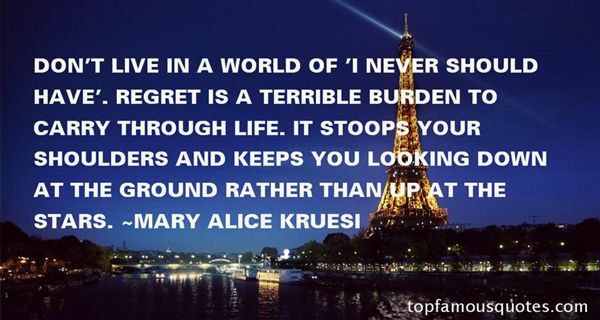 Browse top 1 most favorite famous quotes and sayings by Mary Alice Kruesi. It is a great, a pleasant thing to have a friend with whom to walk, untroubled, through the woods, by the stream, saying nothing, at peace--the heart all clean and quiet and empty, ready for the spirit that may choose to be its guest."